Facebook – social networking site are heavy C++ centric products. You’ll learn how the computer memory really works, how information is stored in them, how you can retrieve them and so on. It is sure to expand your knowledge on the architecture of the computer. 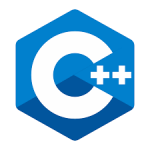 This metric itself proves the worth of C++ in the open source community as well. Be it gaming, graphics, windows applications, you can find tons of great open source projects extensively used today. And, you can always create your own.